Many rhinoplasty procedures are performed for cosmetic reasons, but some people pursue rhinoplasty to remedy problems with the way the nose functions or reconstruct the nose after an injury. 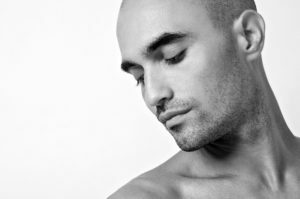 This type of rhinoplasty procedure is known as functional, or reconstructive rhinoplasty, and it can have a very positive effect on a person’s life. Although the primary goal of functional or reconstructive rhinoplasty is to improve breathing and nasal function, the procedure can also improve the appearance of the nose. Talented plastic and reconstructive surgeons like Dr. Marco Ellis are able to comprehensively solve multiple problems at once for optimal nasal function and appearance. When Is Functional or Reconstructive Rhinoplasty Recommended? Functional rhinoplasty is recommended when a structural abnormality or obstruction in the nose interferes with nasal function and breathing. Reconstructive rhinoplasty is recommended to rebuild part of the nose after an injury. These abnormalities or obstructions may also cause nasal congestion, mouth breathing, reduced sense of smell, recurring sinus infections or sinus pressure headaches and nosebleeds. Rhinoplasty often reduces these side effects or eliminates them altogether. The best way to determine candidacy for functional rhinoplasty is to consult with an experienced plastic and reconstructive surgeon like Dr. Ellis in person for a physical evaluation and discussion of symptoms. 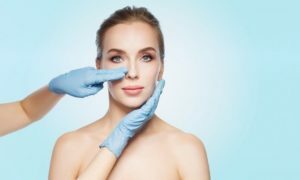 Dr. Ellis uses many different techniques during a functional or reconstructive rhinoplasty procedure, depending on the specific reason for performing surgery and the goal(s) of treatment. Every procedure is uniquely tailored to the needs of the individual patient. During the surgery, Dr. Ellis may reposition or modify the nasal bones, cartilage or other internal structures of the nose to remove obstructions and clear up the nasal airway. Or, he may need to make different modifications to straighten a deviated septum or reduce enlarged turbinates. Sometimes grafts of cartilage are needed to rebuild the nose or repair the internal structures of the nose. Functional or reconstructive rhinoplasty is performed on an outpatient basis and patients can return home the same day as surgery. Anesthesia options include general anesthesia or local anesthesia with IV sedation. Bruising and swelling are common after rhinoplasty and take several weeks to resolve. Most patients are able to safely return to work and most of their daily activities within a week or two of surgery. Strenuous exercise or activity can be resumed two to three weeks after surgery at Dr. Ellis’s discretion. Although initial improvement can be seen soon after surgery, it can take several months up to a year for the swelling to completely subside. Functional or reconstructive rhinoplasty is a very complex procedure best left to an experienced plastic and reconstructive surgeon like Dr. Ellis. His skills and shrewd clinical judgement have helped numerous patients reach their functional or cosmetic goals. To schedule a consultation with Dr. Ellis to discuss functional or reconstructive rhinoplasty, please call (312) 695-6022 or email our practice today.